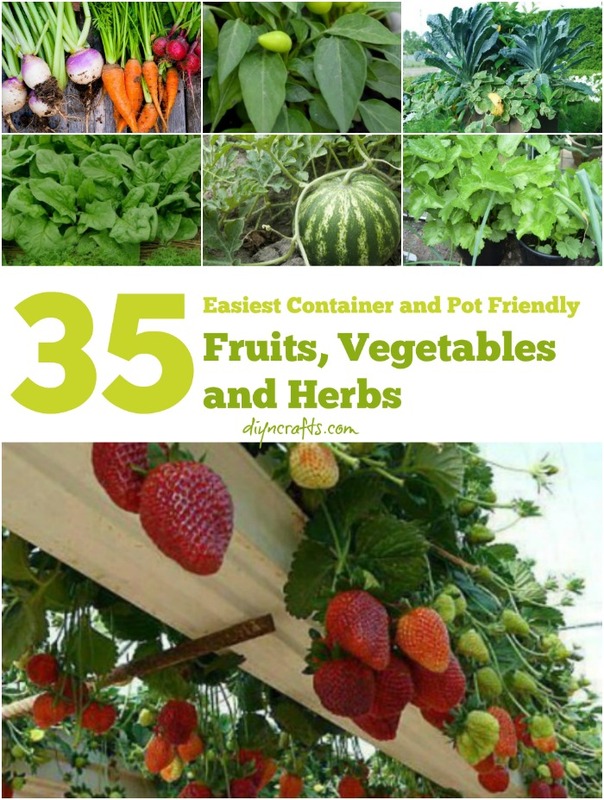 We’ve found 35 fruits and vegetables that you can grow in containers. 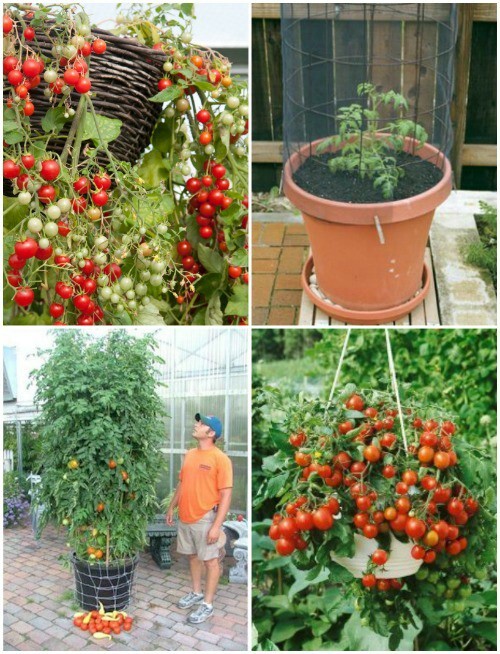 These range from bananas and citrus fruits to tomatoes, cucumbers, and just about anything else that you would normally plant in a larger garden. The difference is, you can grow these on the deck or porch or wherever you have room because they’re all in some sort of container. Plus, these foods grow very well in containers so there are no worries of getting smaller than average tomatoes. If you want a huge beefsteak tomato in a container, that’s just what you’ll get. So whether you have a huge gardening space or not, if you want to grow your own foods, you can and we’ve got the perfect foods for you to grow in those containers. Take a look, pick out your favorites, and DIY your way to more homegrown food on the table all year long. 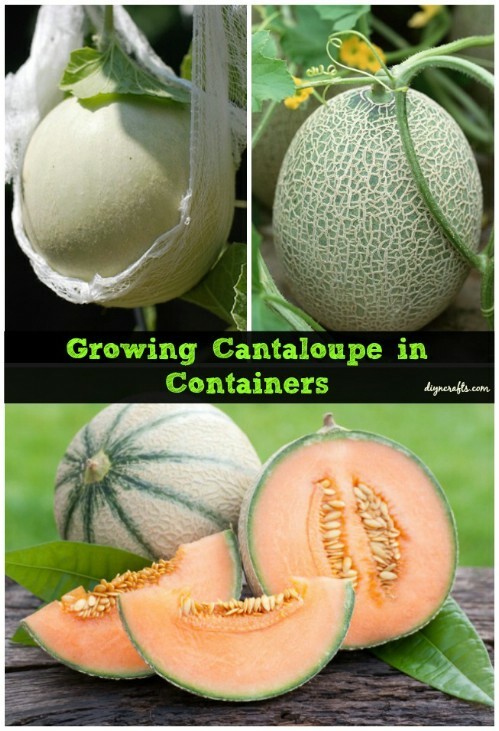 Yes, you can grow cantaloupe in a container. If you love this sweet melon and you don’t really have a garden spot to grow your own, just pick up a couple of rather large containers and you can grow enough to last you all summer. Any variety of cantaloupe can be grown in containers and you can let the vines spill over the side or support them with sticks. Smaller plants which produce smaller melons are the best choice for container gardening because they have more room to grow but you can do larger varieties as long as you have somewhere the vines can fall or if you are going to use bean poles or other support. If you love bananas and even if you don’t live in the tropics, you can grow a banana plant inside the house, even during the cold winter months. 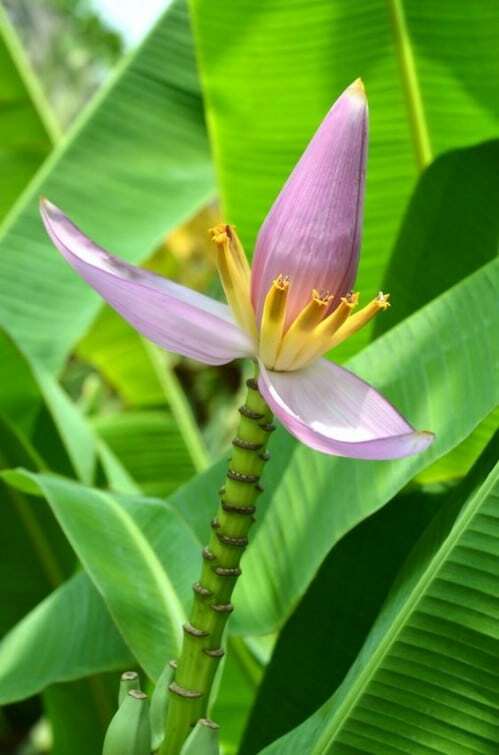 Dwarf banana plants grow perfectly inside and they are perennials so once you plant them, you’ll have bananas year after year. You’ll want to make sure that the container you use is fairly deep and has a drainage hole so that you don’t drown out your banana plant. These thrive indoors or out and are perfect for balconies and decks during the summer. 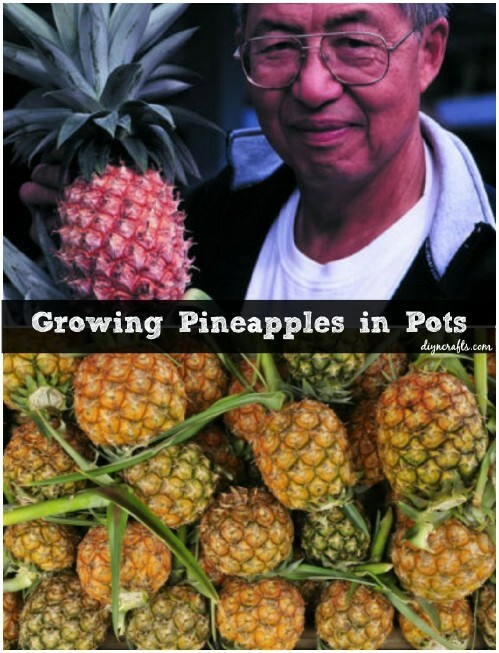 Plus, you can grow them indoors all winter long. 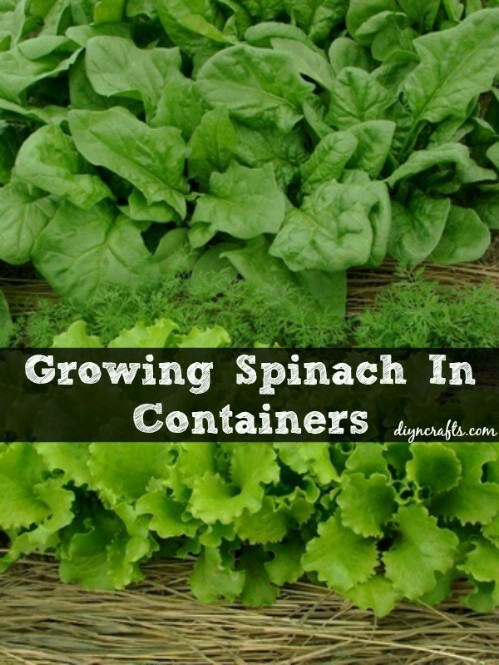 Spinach is so good for you and it grows really well in containers. You will want one 8 inch container for each spinach plant. 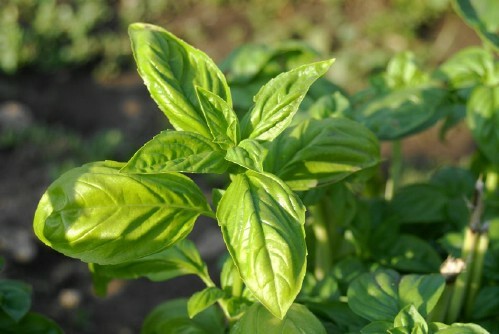 Keep in mind that spinach is a bit heat sensitive so to keep leaves from wilting, avoid direct sunlight. Containers tend to get rather warm during the summer so choose a nice, shady spot to place them outdoors. You can also grow spinach indoors and they grow very well during the winter months. You do need to keep them well watered during the winter though to avoid drying out from indoor heat. Thyme is another herb that does exceptionally well in containers and you can grow it indoors or out. 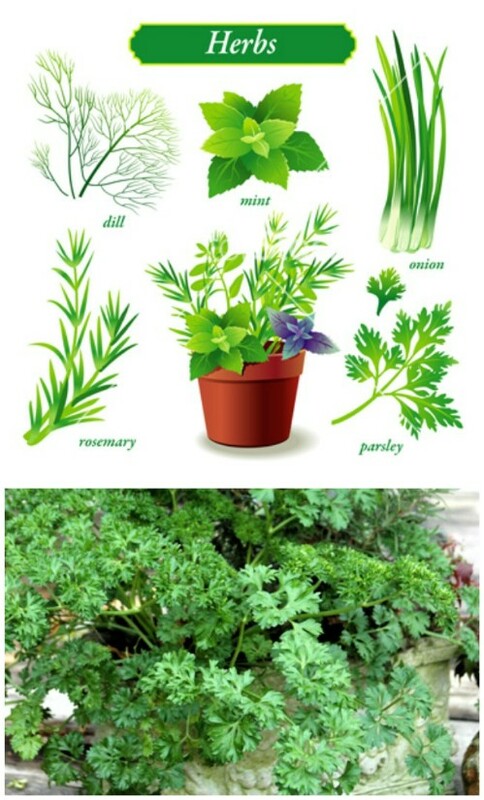 You can actually have an herb garden in containers and plant your thyme with basil, oregano, and other herbs if you want or just have a container for thyme alone. 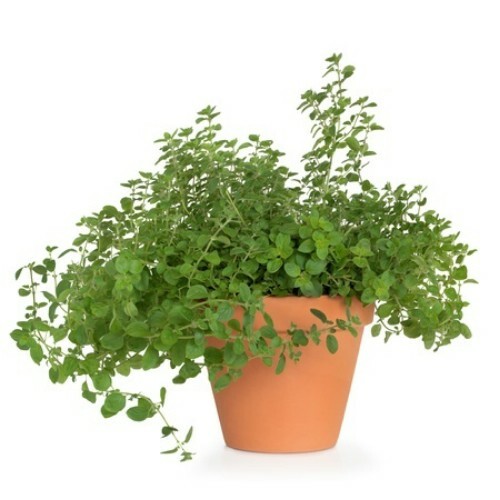 Clay pots work best for thyme because they prevent drying out between watering. Thyme will not grow well if you overwater it so be sure to choose a container that has an adequate drainage hole in the bottom. You can grow it indoors during winter but it is recommended that you allow it some fresh sunlight during spring and summer months. Get ready for those turkey dinners by growing your own sage. 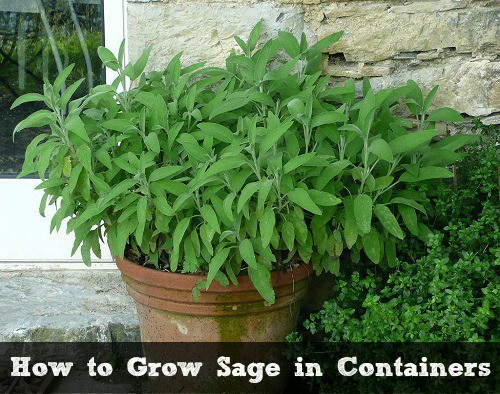 Sage is an herb that grows very well in containers and you can grow it indoors or out. Sage does prefer sunlight so if you don’t have a big enough window to supplement it during the winter, you may need to use artificial lighting. If you are planning to grow it on the balcony or even in a window box, you should be fine. 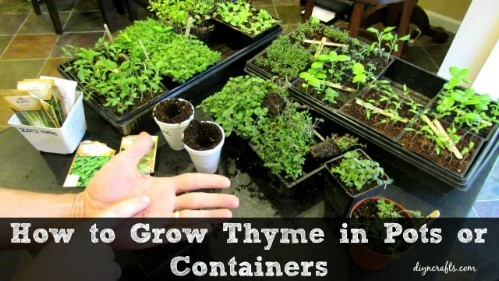 Just place the containers somewhere that the plant has access to plenty of direct sunlight. You can grow it indoors as well, as long as you provide sufficient lighting for most of the day. 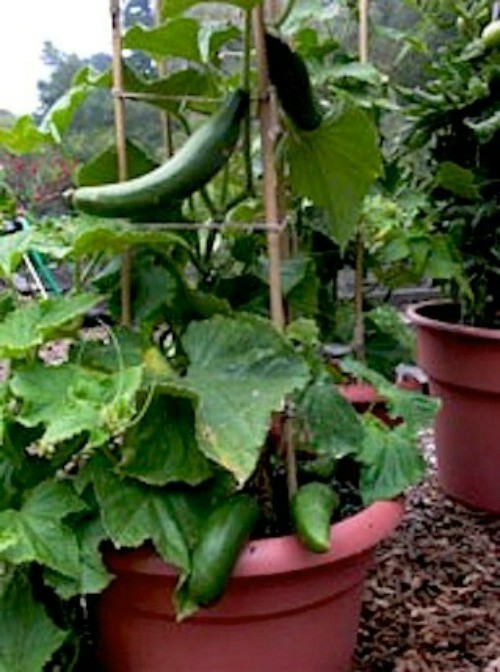 Cucumbers are very easy to grow in containers and you can keep them growing all winter long in most cases. You can also grow them vertically to maximize the space that you have available. Just let them vine up your deck railing or even the side of your house if you are putting the containers outdoors. Salad bush hybrids, midget picklets and spacemasters are the best varieties of cucumbers for container gardening although any type will thrive if you care for it properly. Be sure to allow plenty of space for the vines and harvest regularly once they begin producing so that they don’t weigh the vines down and weaken them. Kale is great for container gardening and really doesn’t need much space. 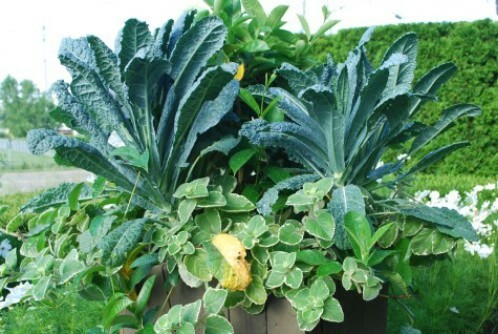 You can grow about five kale plants in a 20 inch pot and growing in containers allows you to move them about into the shade or inside out of the cold during the winter months. It is relatively easy to grow and allows you to have a fresh supply of kale all year long. You can begin your kale containers with transplants or direct seeds, whichever you prefer. Don’t let them get too dry but don’t overwater, either and make sure that you allow a bit of indirect sunlight every day. Lettuce is one of the easiest of all plants to grow in containers. 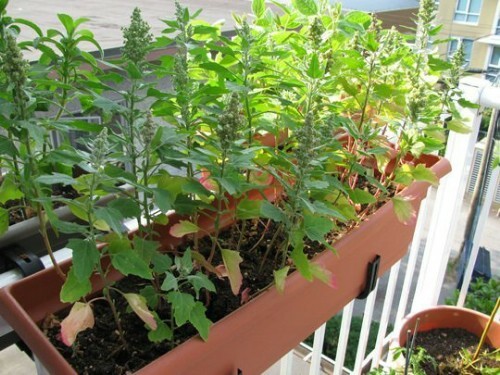 You can sit the containers out on the balcony or deck for sunlight and you can begin your own seedlings at the end of winter for the next planting season. Just sow your lettuce seeds directly into potting soil inside a large container. You can plant lettuce with other greens such as cilantro or arugula if you need to save space. You may need to transplant into a larger container when the plants begin to grow but keep the containers small enough so that you can easily move them inside and out for sunlight. 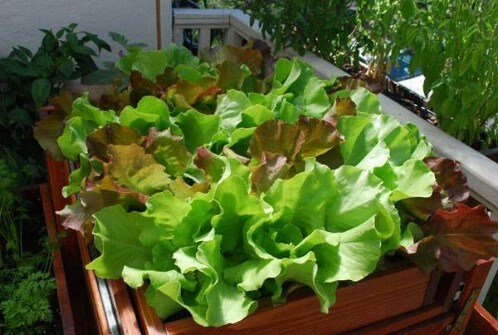 How To Grow Lettuce – Growing your own lettuce is easy! Radishes add great flavor to salads and other dishes and can be grown easily in containers. Short, red radishes can be grown in just about any container that you have on hand. Longer, white radishes thrive very well in paint buckets or similar containers. 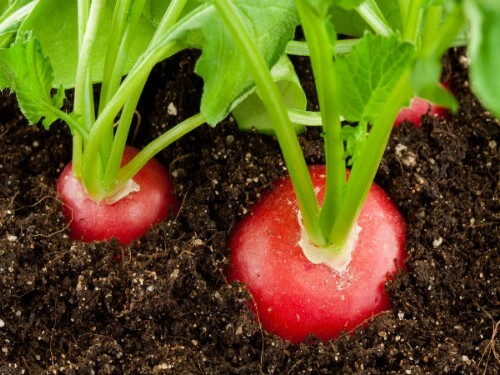 Radishes are actually a recommended vegetable for first time gardeners because they grow so well. You are sure to get a great harvest from your radish containers. 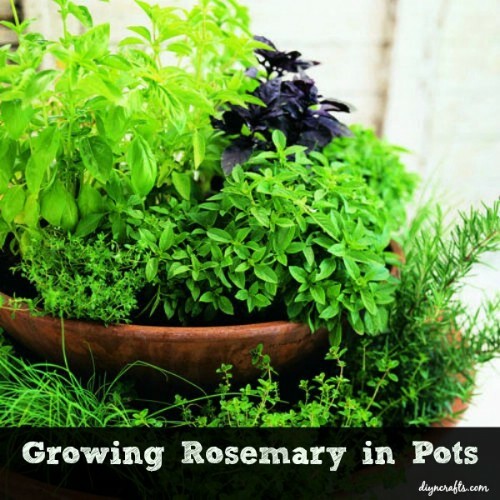 Just make sure that you water them every few days and sit them beside a window or out on the patio for a bit of sunlight a couple of hours each day. Quinoa is a whole grain that is packed full of nutrients and it’s a food that you can easily grow in a container. 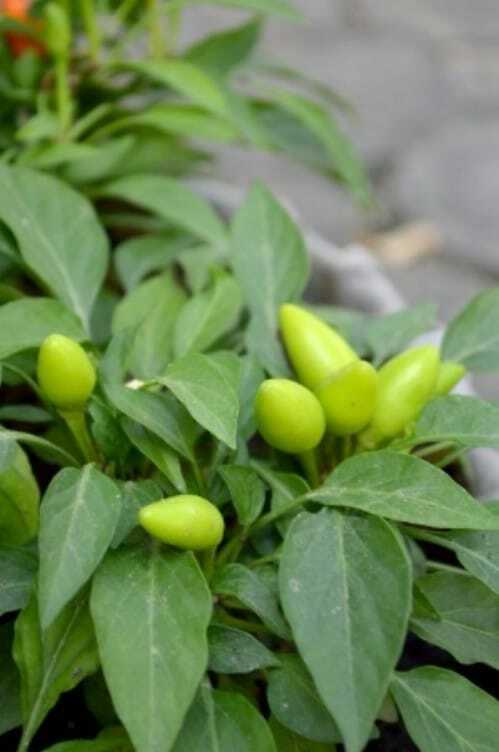 It’s actually a very hardy plant that is not terribly picky about where it grows, which makes it perfect for growing indoors or on patios. Plant the seeds directly into potting soil in a rather large container. Quinoa plants grown in containers only reach about two feet in height so they won’t take up much room and you can begin harvesting them in the fall. They are very hardy plants and very low maintenance which makes them perfect for container gardening. 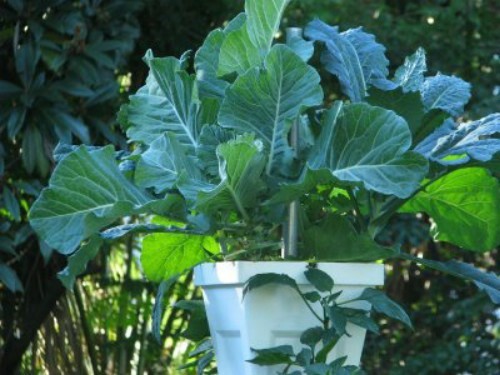 Collard greens do very well in containers as long as you place the container in full sunlight during the day. Plan to give them at least six hours of sunlight during the spring and fall months. If planting during summer, you will need to move the containers from indoors to somewhere slightly shaded during the afternoon hours. During fall and spring however, you will need to give them direct sunlight. You can actually grow collard greens during every season but winter, unless of course you want to provide it with artificial sunlight during the colder months. Believe it or not, potatoes actually thrive in containers. 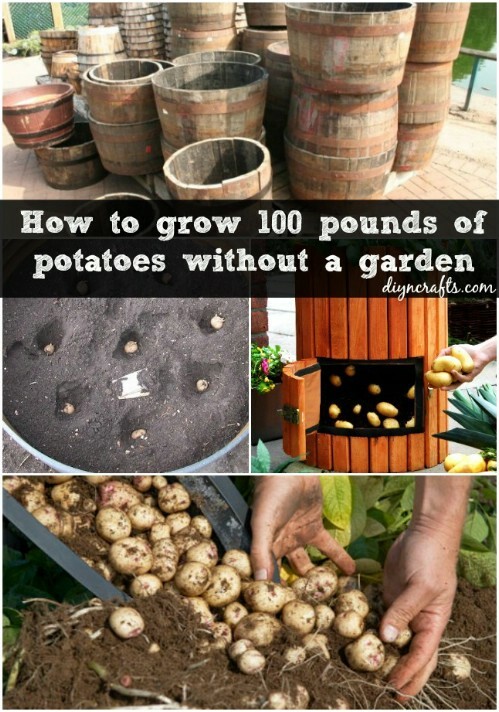 In fact, you can keep your potatoes growing all year long and never have to buy them in the store again. They do very well in five gallon buckets and the containers are perfect for moving in and out of the sunlight. Make sure that you drill a few holes into the bottom of the bucket before planting so that your potatoes don’t get overwatered. You can expect to get between one and two pounds of potatoes per bucket so depending on how many you go through each week, you may only need to plant a couple of buckets per growing season. Carrots, like many other root foots, can be grown in containers and they will actually thrive throughout the year when cared for properly. Sow the seeds thinly because they will really take off. Be sure to provide adequate water but don’t overwater. 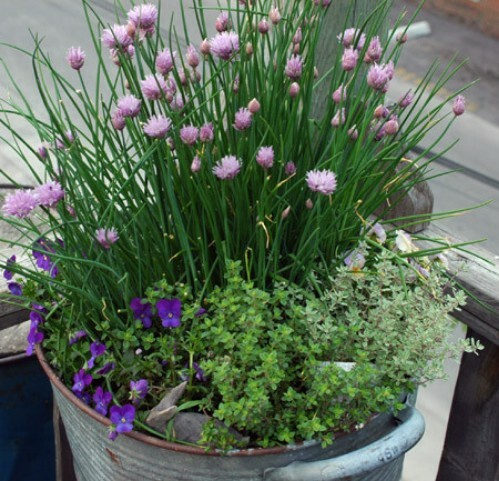 Growing them in containers is about the same as growing them in the garden. Make sure that your containers have holes for drainage and you should see some growth after about seven days or so. 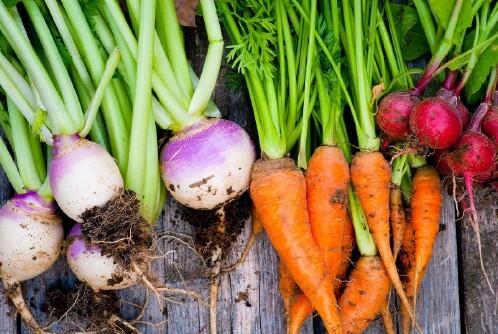 You’ll be able to enjoy carrots all year long provided you can give them a bit of sunlight or even artificial light if you are growing during the winter and live in a really snowy area. You can grow watermelons indoors or on the balcony. If you have a deck or porch rail, allow the vines to travel up the trellis or rail, which gives them more room and will yield you more fruit. Watermelon is really easy to grow in containers and can even thrive indoors during the winter months in most cases. 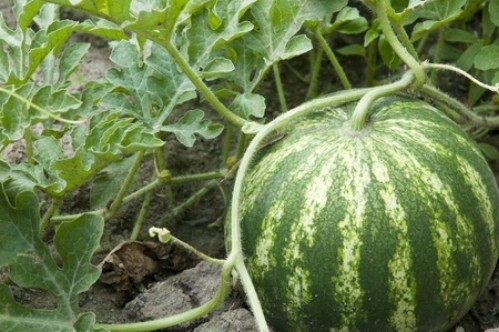 A self-watering container is perfect for growing watermelon in containers because after all, they do need plenty of water. You also want to be sure to give them a bit of sunlight every day and this can be direct, artificial, or through a window if you have a large enough one. Beets can be grown easily in containers. Whether you love cooked beets or you prefer to pickle them, you can grow them indoors during most seasons and have an endless supply right at your fingertips. You don’t have to germinate in one container and then transfer into another. In fact, beets prefer to grow undisturbed so choose an adequately sized container before you plant. Sow the seeds thinly but still be prepared to need to weed them out after a couple of weeks. 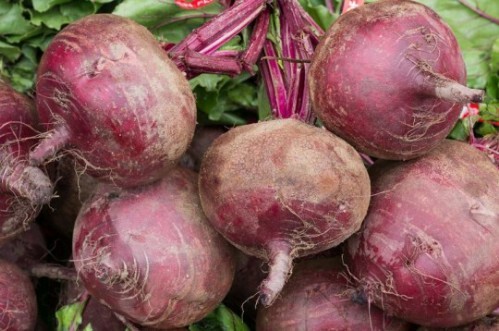 Beets grow fairly well in any condition so you should have no problem getting enough for a great harvest. 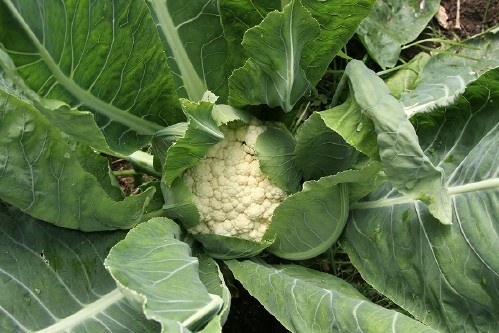 Cauliflower, broccoli, cabbage, and other cole crops will grow very well in containers. 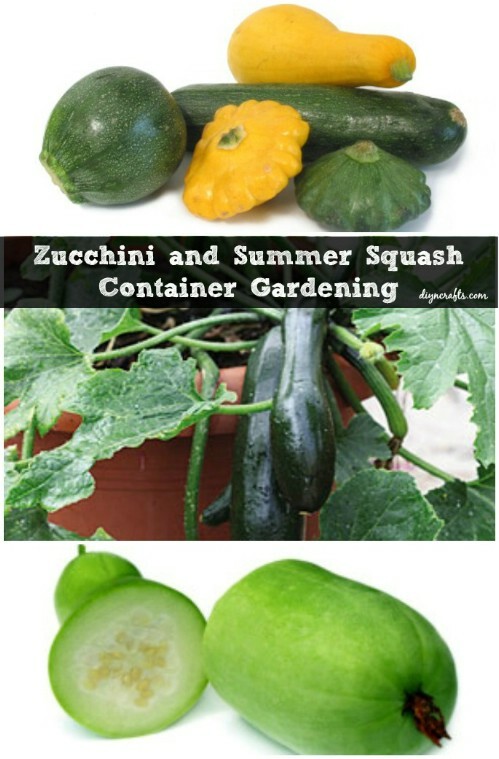 These are actually among the easiest of all vegetables to grow in post although you should try to avoid planting a lot of different types in one container. Choose a container for each cole crop so that they will thrive. You do need to choose a container that is at least eight inches deep and about eighteen inches wide in order for cauliflower to thrive. Be sure that you allow for adequate drainage and give your cole crops plenty of sunlight every day. 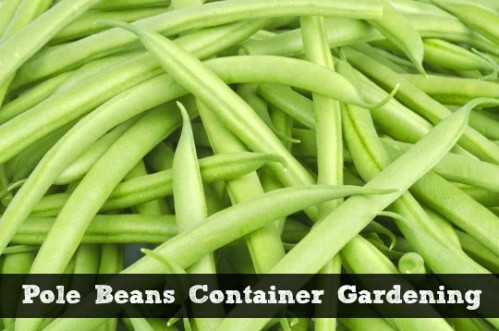 Imagine having a great supply of fresh green beans and from a container garden. Pole beans actually do very well in containers so whether you are planting an entire container garden plot or just adding a few plants to your deck or balcony, if you love fresh beans then by all means, plant some in a large container. You need at least a twelve inch container for best results and you’ll need a pole of some sort to allow the bean to travel up once it begins growing well. This also makes it much easier to pick off those beans when they are ready to harvest. Sugar snap peas are delicious in stir fry or just by themselves. 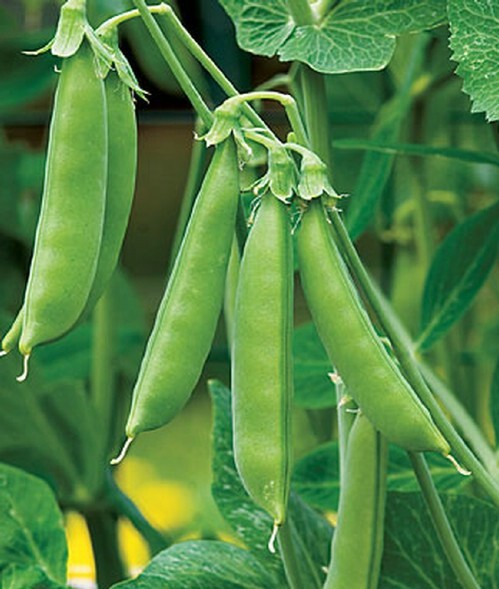 You can grow these pretty easily in planters so even if you don’t have room for a traditional garden, you can still enjoy fresh sugar snap peas from time to time without spending a fortune on them when they aren’t in season. You do want to provide some sort of climbing ability so a trellis or porch rail may be necessary when the plants begin to grow fairly well. They also thrive much better outdoors than inside so grow them on your balcony or patio during the spring/summer growing season for best results. 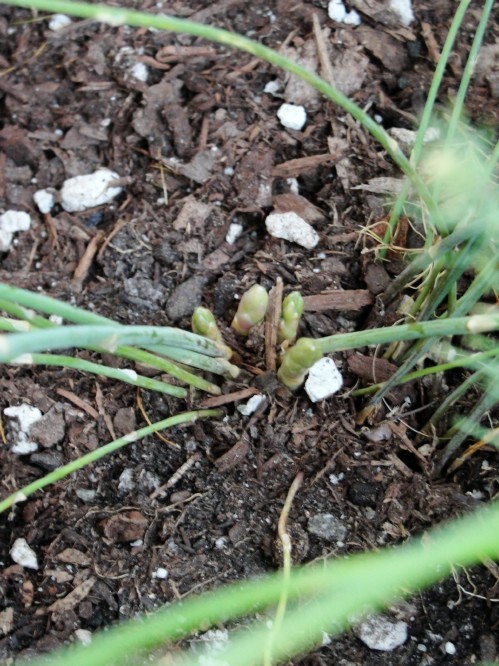 Onions, especially green onions, have been known to grow very well in containers, provided you get them adequate space. Choose a planter that is at least five inches deep, which allows the onion to grow to full bulb size. Just plant the onion sets in potting soil in your chosen container and you should be able to get several in a container, allowing an inch or so between for growth. Green onion tops are great for adding flavor to salads and soups and the bulbs can be left until they reach a pretty good size. 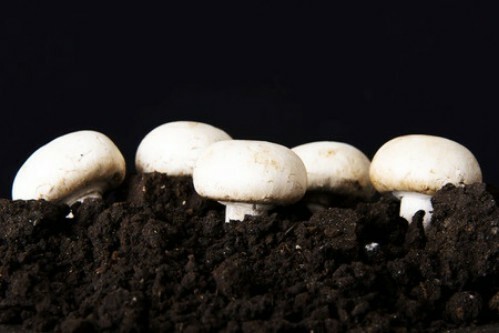 Grow your own mushrooms for adding extra flavor to all of your favorite dishes and you can do it in a container. If you have never grown mushrooms before, don’t fret. 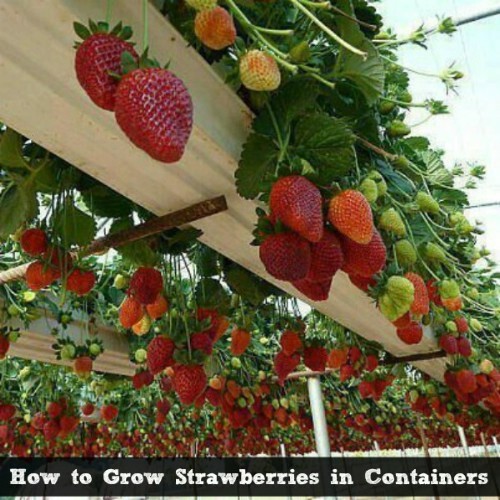 This is one of the easiest of all foods to grow in a container and you can keep the planter on the porch or balcony or even in a windowsill planter if you want. There are many different types of mushrooms that will thrive in containers so whether you like one or like them all, you can add fresh mushrooms to your dishes without having to drive to the store and pick them up. 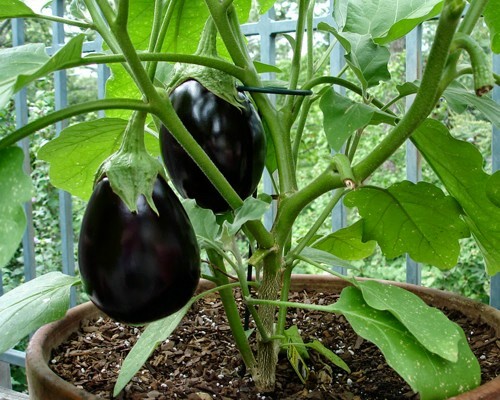 Growing eggplant in a container is really easy and depending on the size of your planter, you can get a couple of seeds in each one. You should choose containers that are at least five inches deep so that you don’t crowd the eggplant as it grows. Clay pots are excellent for eggplants because they allow heat in to the plant although you can use gallon buckets if that’s what you have on hand. You will want to keep the plants relatively warm so no setting them outdoors during winter and as they begin to grow, you may want to add a bean pole or something similar for support. Turnips thrive very well in containers. 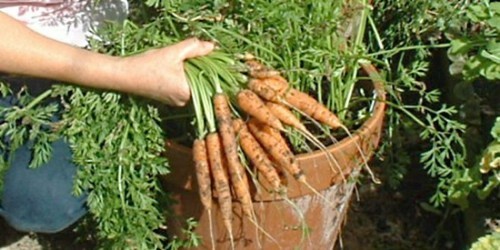 Root plants, turnips are great for growing indoors and out and you can grow several containers on the balcony or deck. Make sure that your planters are at least eight inches deep to allow room for the roots to grow. You also want to ensure that there are enough holes in the bottom of the container for adequate drainage. Overwatering will cause the plants not to thrive and could kill them so plan to drill at least three or four drainage holes and add gravel to the bottom of the planter to help with drainage as well. If you love asparagus but don’t love paying high prices for it, grow it yourself and you can do so easily in containers. Asparagus is a really hardy plant and one that doesn’t require a lot of attention or care. Just make sure that your container is large enough to accommodate the plant as it grows, which will be up as opposed to root plants. You can use a shallow planter but make sure that the diameter is relatively large. These do very well indoors so if you don’t have any room outside, you can still grow it and just sit the planters out on the balcony for a little sunlight every day. Growing Asparagus in a container. Little baby homegrown stalks! Artichoke hearts are an acquired taste and a somewhat expensive one at that. Instead of paying out high dollars for those in the store, just grab a planter and grow your own. 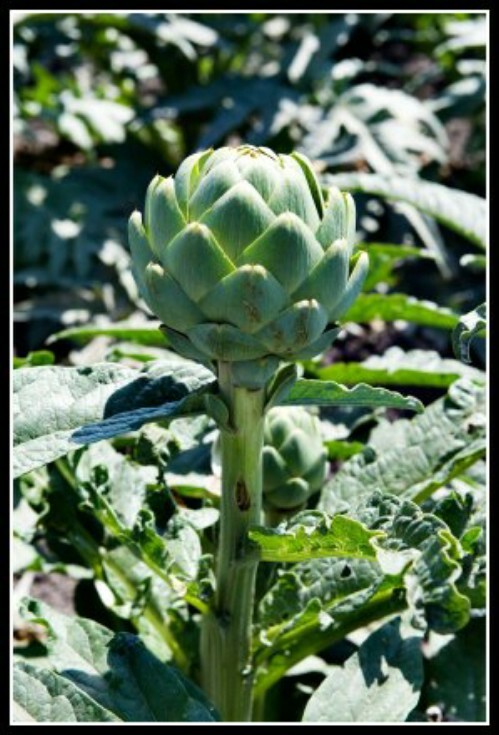 Artichokes grow very well in containers and aren’t really something that you have to mess with often. They are relatively low maintenance and because they take a bit longer to germinate, you can plant them in the fall and have them ready to eat by spring. Give them just a little water and sunlight regularly and they should really thrive. 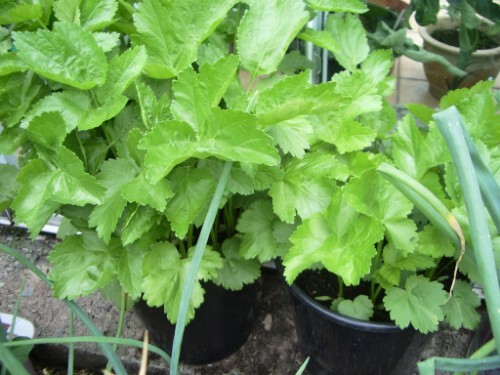 If you like adding parsnips to your dishes but have a difficult time finding them, especially out of season, you can grow them in containers and they do very well. Keep in mind that you’ll need a relatively deep container for planting parsnips because they tend to get pretty long. A five gallon bucket is a great choice but you have to remember to cut or drill holes in the bottom to allow for drainage. You can get several seeds in each container provided the planter is wide enough to allow them room to grow without crowding them. Note that you will need to weed them out after a couple of weeks if you plant a lot in one container. Very informative and interesting ideas . hope to try them soon. It’s very informative. I’ve tried to plant some herbs, but they died, now I realized that I drowned them. Thank you very much. 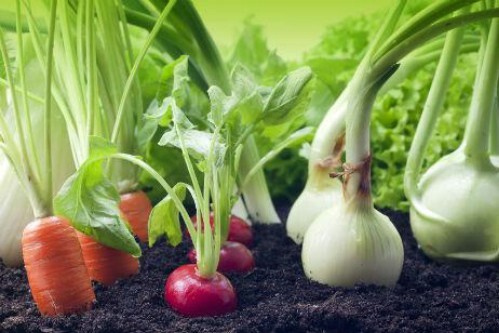 Love the ideas of growing fruits and vegetables , going to try that this coming summer. Was wondering if this was in book form. Would certainly purchase one. Buenos días, fueran tan amables de enviarme la información en español o decirme en español los pasos que debo de seguir para hacer la traducción. Todo es maravilloso pero me pierdo de muchas cosas por no dominar el inglés. I planted some pumpkin seeds in a container and some of the bottom leaves have turned yellow. Do you know why? I didn’t know that pumpkins are better suited for in the ground. Should I apply some mulch? I got the seeds from an organic pumpkin that I bought at a store. I read somewhere on Pinterest where a person got a shower scrubbee net thingy from the dollar store, took it apart, cut into 3 foot lengths, tied one end in a knot, put the baby cantaloupe in the net, make a slit for the vine, then tie the other end to the trellis. Voila! a supported cantaloupe. My father grows sweet peppers in a container and he gives it to me as a present! It looks very cute just like the photo above! I’m gonna grow some strawberry and chives. I love them a lot! we sell gartden bag, tree bagm, flower pot, plant.